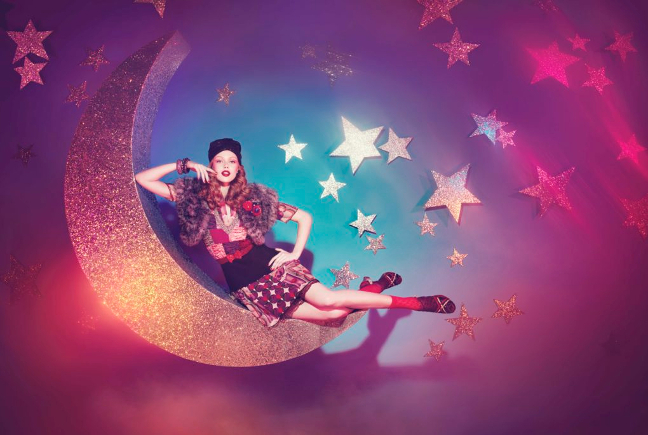 The World of Anna Sui – the first-ever retrospective of an American fashion designer to be held in the UK. 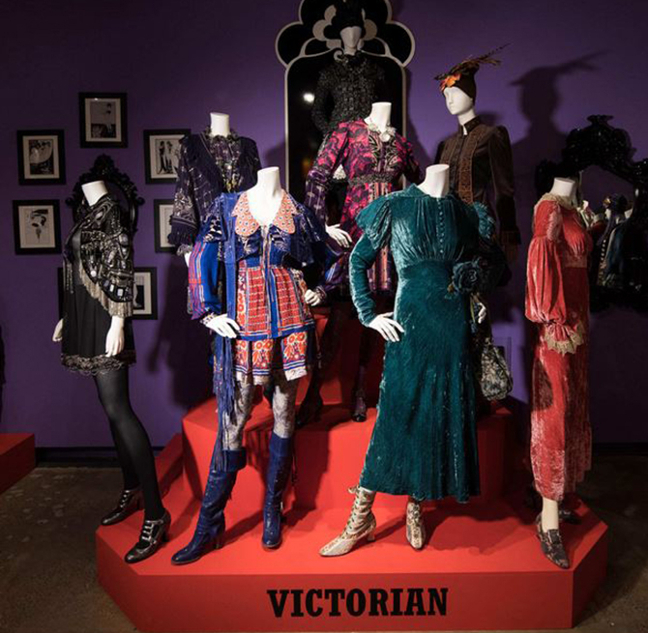 With over 125 full looks ‘The World of Anna Sui’ explores the glamorous and eclectic world of one of New York’s most beloved and accomplished designers. Since her first catwalk show in 1991, Sui has become known for creating fabulously original clothing inspired by spectacular amounts of research into vintage fashion and popular culture. 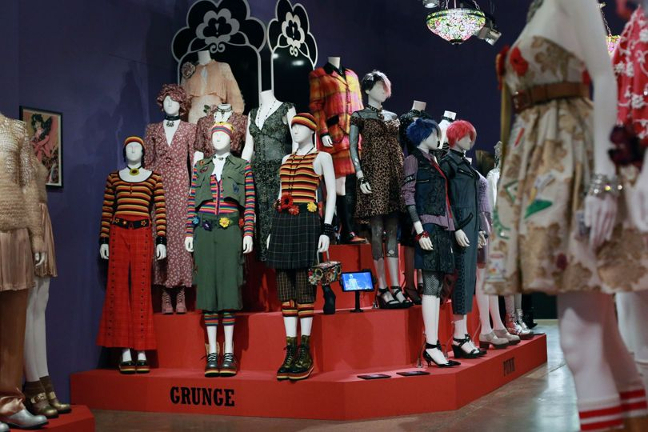 The exhibition ranges from early looks – such as the exuberant Carnaby Street, schoolgirl outfits worn by supermodels Linda Evangelista and Naomi Campbell in the first runway show in 1991, to the cowboys and cheerleaders modelled by Gigi and Bella Hadid during the recent Spring/Summer 2017 Americana-themed collection. Sui joined New York’s cultural underground at an intensely creative time, forming important relationships in the worlds of fashion, photography, art, music and design. The exhibition looks at Sui’s artistic journey through her creative process, collections, interiors, and collaborations. In addition, the exhibition explores Anna’s design processes through moodboards, photographs, sketches, runway shots, and cultural ephemera. A section on collaborations documents her long term creative partnerships with models such as Linda Evangelista, Christy Turlington and Naomi Campbell, as well as with make-up artist Pat McGrath, jeweller Erickson Beamon and knitwear designer and milliner James Coviello. A recreation of Anna’s sensational New York shop will further give a sense of Sui’s distinctive interiors and design style. The shop with its red stained floors, tiffany lamps, purple walls, ornate black mirrors, black lacquered furniture and Aubrey Beardsley prints perfectly represents Sui’s punky thrift-store design aesthetic. 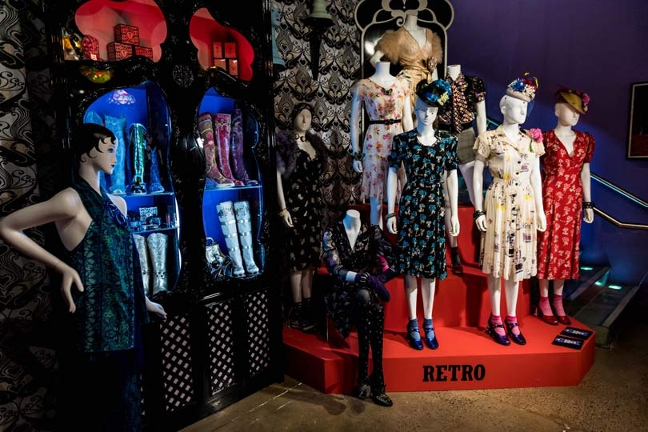 The remarkable range of different styles on display emphasise Anna Sui’s consistent design approach as she incorporates her current passions into every garment. The exhibition provides not only a fascinating guide to the history of American pop culture, but also a powerful inside look into the creative process and unique world view of this iconic New York designer. 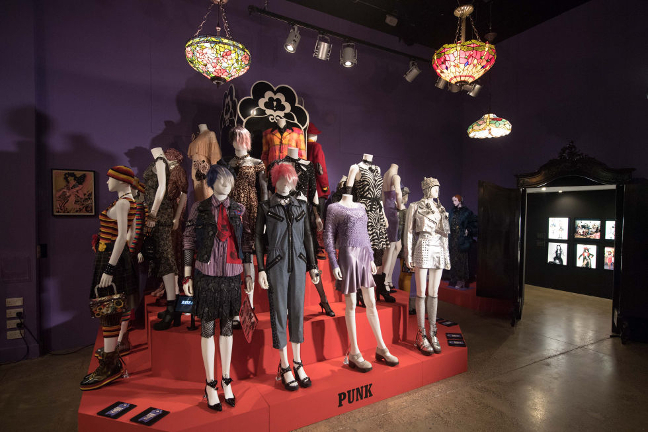 ‘The World of Anna Sui’ celebrates both American fashion and the distinctive vision of Sui, whose daring and experimental approach to design has become a mainstay of the international fashion scene.